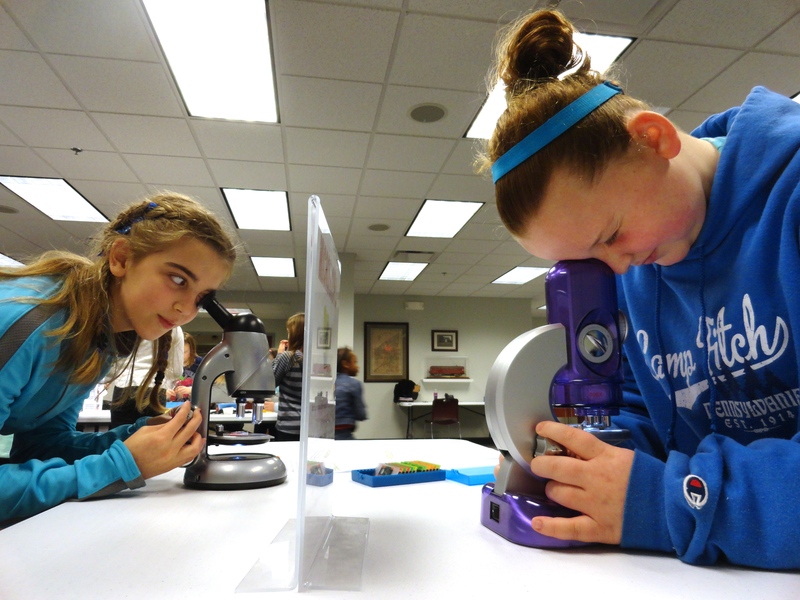 Sadie and Mallory use microscopes to get closer looks at hair, cell samples and more during a program at Mentor Public Library. Full STEAM Ahead is back! That means kids can learn about science and other STEAM components during our special monthly series, which returns next week. The series begins with a focus on science. Kids from first through fifth grade can perform hands-on experiments and learn more about the world around them at 4 p.m. on Tuesday, Sept. 26, at our Main Branch. These programs are free and open to all kids in first through fifth grade. However, registration is required. Parents must sign up their child for each session separately. Registration begins two weeks before each respective session. To sign up or for more information, call us at (440) 255-8811 ext. 221. 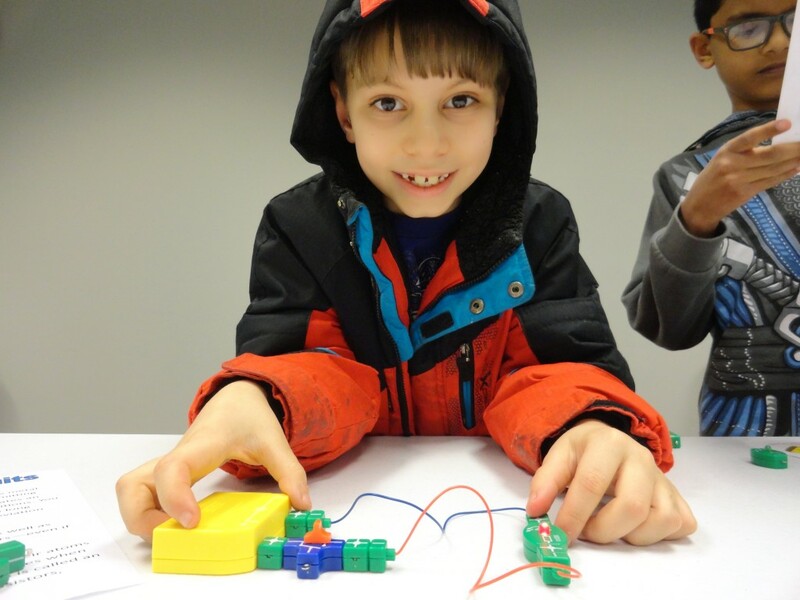 Avery’s bulb lights when he completes his circuit. This entry was posted in Uncategorized and tagged Mentor Public Library, science, STEAM. Bookmark the permalink.